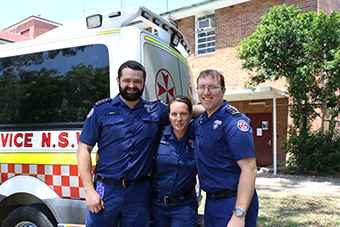 NSW Ambulance together with Sydney North Health Network (SNHN) aims to further enhance primary health care in the community by strengthening links between the extended care paramedics and General Practice. SNPHN is facilitating the pilot of new and more efficient technologies by providing ECPs with a laptop, printer, and secure messaging functionality to streamline communication around these occasions of care. The utilisation of digital health technology via secure messaging will now enable the Paramedics to transmit the summary letter directly into the clinical software of the patient’s nominated GP (or their practice) immediately following an episode of care. For GPs who have patients with complex / chronic conditions there has previously been the option to fill out an NSW Ambulance Authorised Care Plan. This option has been advertised by the PHN and Ambulance NSW especially when patients are known to have exacerbations of their conditions or are palliative. The Authorised Care Plan templates are now available to download for your clinical software.